So, you are Fergus Linehan, and you are programming the Edinburgh International Festival. What to do? Do you look to find shows that will fit the theatres available in the city? Or do you find spaces to fit the shows that you think are brilliant and want to programme? The union BECTU clearly thinks that the festival director should take the former approach. 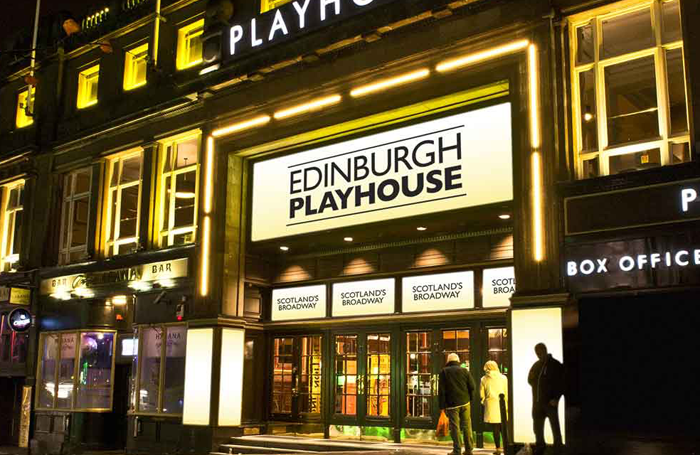 It says that members have been forced to hunt elsewhere for work because the EIF has only programmed three one-night shows in the 3,000-seat Edinburgh Playhouse, which is owned and operated by ATG, during the festival. I have every sympathy with those struggling to find work, but this is an ATG issue not a festival issue. There is no point in spending money to bring over a terrific international piece and then try and put it into a 3,000-seat venue which was built to showcase a very different kind of work. Just as many theatres in London’s West End are simply not fit for purpose when it comes to presenting contemporary theatre, so sadly the Playhouse is a building that is a throw-back to a former age and unsuited to much of the best contemporary performance being made around the world. On occasion, there will be pieces that fit it like a glove, which is good for all concerned, but a festival director’s loyalty must be to artists and the work they make, and not to bricks and mortar in the city where the festival takes place. As contemporary performance of all kinds has changed over the last 20 years, so the nature of the buildings that showcase it have needed to change too. Suggesting that the council should intervene to ensure Linehan programmes suitable work into the Playhouse to ensure BECTU members are fully employed for the three-weeks of the festival is short-sighted and doesn’t reflect the shifting cultural landscape. It’s hard enough for the EIF to compete with other international festivals around the world that are far better resourced in every way, including in terms of the performance spaces available to them. Trying to tie the EIF’s hands by tying it to the Playhouse can only cause reputational damage. Last week I rushed into Paines Plough’s Roundabout at the last minute having galloped from another show, and spent the first five minutes a little puzzled. I had thought I was seeing Simon Longman’s Island Town about teens stuck in a dead-end town. But this seemed a very different play. It was a few minutes before my tired brain twigged that I was actually in Vinay Patel’s Sticks and Stones and there were definitely no teenagers in it and I was seeing the other Paines Plough show in the afternoon. It’s an easy mistake to make in a festival, but one of the things I like about the fringe is the way that – in changing the rules of engagement – it often shakes up expectation. I have seen a number of shows over the last 10 days about which I have known almost nothing before taking my seat. That never happens during the rest of the year when you are primed by the press release/the advance publicity/ the reviews to know a great deal about what you are seeing long before you get to the theatre. But in Edinburgh, it is not just critics who will be less primed than usual, audiences often are too, simply taking a chance on a show that is just about to start and has tickets available. Even the fact that you are seeing theatre at different times of the day from usual can make you look at work in a different way. We are used to sitting in the theatre at 7.30pm watching an abusive relationship unfold, but when you are doing it at 10am you can find yourself unexpectedly ambushed by different emotions. Tiredness, and the fact that many people watching a show in Edinburgh will have a drink in hand, also affect how the work is responded to. One of the things I love about the fringe is that in taking away the conventions of theatregoing and shaking up where we see it, at what time and in what conditions, it can shake up theatre itself and surprise us.